They threw an open house on South Salina Street this week. The Onondaga County Public Library’s Central Branch has been working on its three floors of grand stuff in the Galleries of Syracuse since I’ve been working at the Liverpool Public Library. Our brethren did good. Real good. 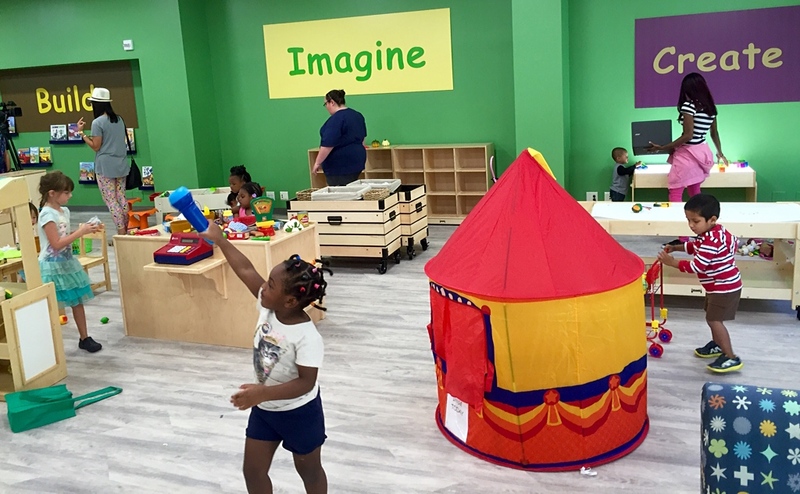 Happy kids are building, imagining and creating. The Children’s Room on the second floor was beautiful, humming with activity. 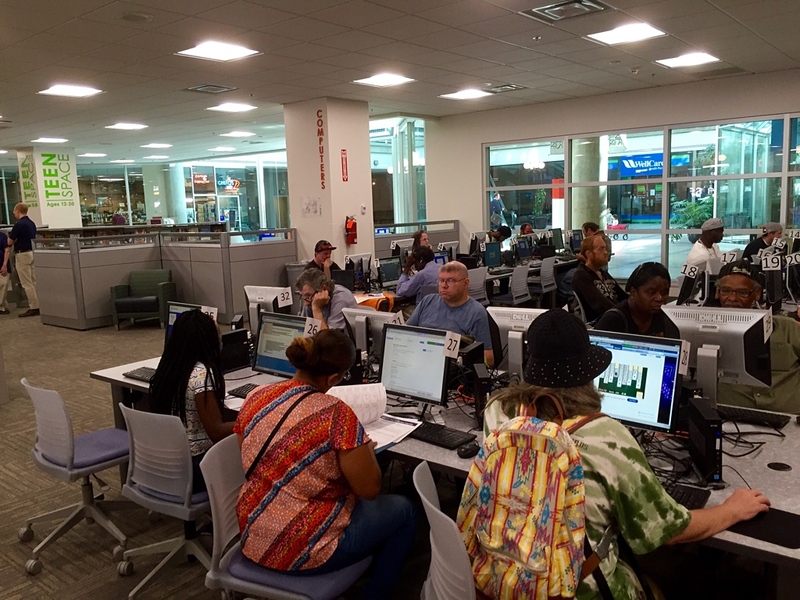 The PCs on the first floor were full with browsers. 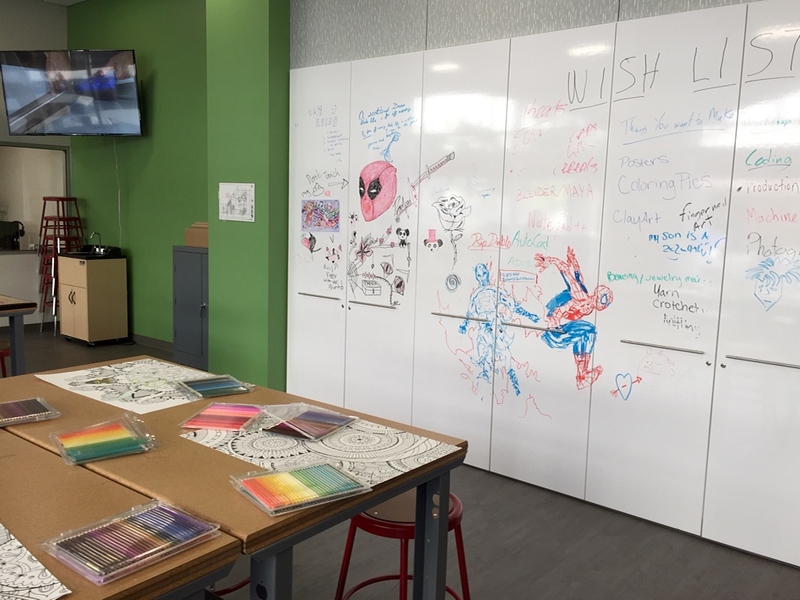 The wish list on the whiteboard cabinet doors in the Makerspace room on floor one was bursting with hopes and dreams. The reading space on the second floor provided a good reminder that some poster people for learning may not have always been held in such high esteem by their peers or the public but persevered and excelled. 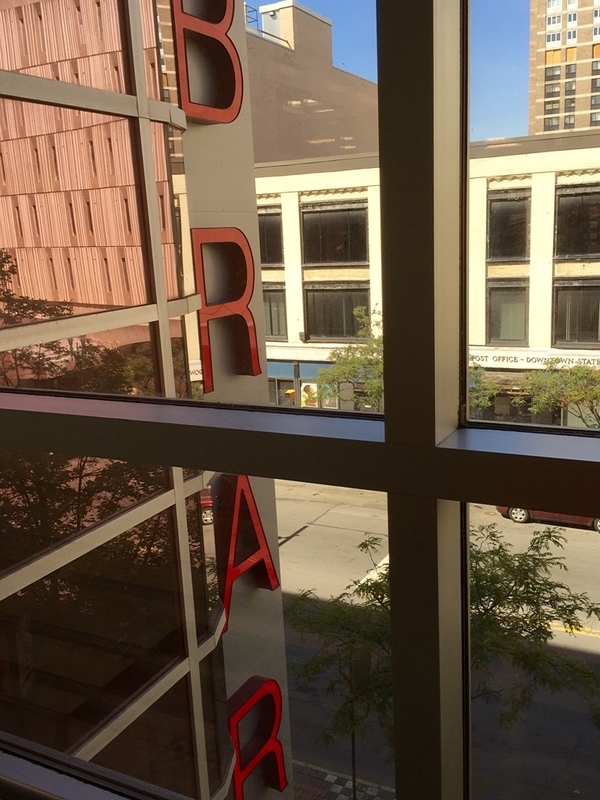 And, oh, how cool the new Library sign looks over South Salina Street. 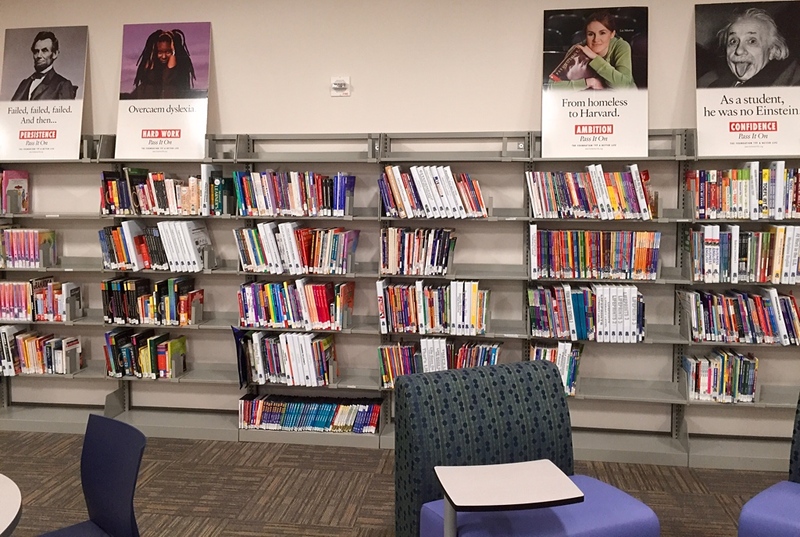 What do you think of the Central Library’s new layout? Would you come downtown for these features? Which is your favorite photo, and why? Awesome new digs Mark. Very welcoming feeling. I like the build, Imagine, Create picture – framed perfectly and calls out for investigation. nicely presented Mark.